As a scientist working on rewilding projects around the world, could you start by helping us to define this term, “rewilding,” and could you explain how it relates to “dewilding”? Ecologically, rewilding is a term created by Michael Soulé, an important founder in the field of conservation biology, or the science of saving nature. He defined rewilding as large-scale conservation aimed at protecting keystone species. Rewilding is ultimately about relationships. It’s about restoring natural processes, core wilderness areas, corridors between these areas, and relationships that have been in place for millennia, or in some cases for millions of years. These processes and relationships are profound, and acknowledgment of these processes is embedded in Indigenous peoples’ relationships with the world. Dewilding has disrupted or stopped these processes and relationships. There’s a lot of science that shows when this disruption happens, ecosystems start to unravel and humans start to unravel. Many of the problems we’re dealing with globally right now, including climate change, are attributable to dewilding. Climate change and dewilding can be tracked very directly to the beginning of the Anthropocene which began in the early 1800s with industrialization. Dewilding meant eliminating things that were scary to us. This included anything with sharp teeth and claws (bears, wolves, cougars, lions in Africa), and anything that was an unruly natural process that we could control, which led to fire suppression, damming rivers, and cutting down forests to eliminate that tangle in the woods and replace it with tidy agriculture. But the other part of rewilding and dewilding relates to the human spirit. When we heal ecosystems by restoring these relationships, we are healing ourselves as a species. Reinstating these relationships with keystone forces of nature — fire, apex predators, apex herbivores like prairie dogs — is profound. Every single benefit those species convey to ecosystems are also conveyed to us in terms of ecological health but also in term of our spiritual health. Rewilding is returning to what defines us as humans. I’m finding as a scientist that Indigenous people’s traditional ecological knowledge provides profound wisdom and a roadmap to rewilding in a way that honors the needs of all beings including humans. Can you talk about your current role as chief scientist at Earthwatch Institute? Earthwatch has a global research program. We have fifty projects on six continents. About two thirds of these projects involve Indigenous people struggling to address their subsistence rights in a world that has changed tremendously in the last hundred years. My role involves shaping our research program, deciding priorities we need to address, putting out calls for proposals and encouraging scientists to apply. My role also involves working directly with scientists and Indigenous peoples in projects around the world. I work to support underserved minorities, particularly Indigenous women, in becoming scientists. This is kind of a heavy lift because women face sexism and discrimination worldwide. I am Latina and Native American, and I’ve faced a lot of discrimination in my life since I was a child, and somehow I managed to emerge into a position to help. A lot of my success was supported by having a wonderful husband. When I was facing big challenges, my husband would tell me to keep going and that he believed in me. A big part of my job involves helping to empower these scientists in places like Kenya or Mongolia who are struggling in a system that is stacked against them. Science is a very white male dominated field. I was born into a traditional Mexican family in El Paso, Texas. My parents are from northern Mexico, and neither of my parents graduated from middle school. I experienced the limitations of a traditional Mexican culture. My parents did not allow me to go to college. I was offered a full scholarship to Yale and to Harvard, but my parents wouldn’t allow me to accept them because I was a young woman. It took me a long time to find my path. I always wanted to be a scientist. It took my parents decades to understand, and ultimately, we had a positive relationship. They’re both gone now. I love helping people and making science come alive and working to save nature in a way that is very pragmatic. Part of rewilding is reclaiming parts of ourselves. How is the presence of large predators or other keystone species important for rewilding? I’m now in my home in Montana where we’ve lived for twenty-five years. We have a small fenced yard of half an acre, next to a big three-acre meadow, and we are just adjacent to 2.5 million acres of wilderness (The Bob Marshall Wilderness and Glacier National Park). When we raised our kids here, my family and I learned to track, and we learned as much as we could about this wild place. We had to be alert to live safely here, and it was our passion to observe and learn about nature and all the species that share this land. At dinner time, we used to watch out our window as deer and elk ate peacefully with their heads down in the meadow close to our cabin. I was not an ecologist at that time, and I didn’t realize there was something wrong with that picture. Early one cool July morning, we were weeding a flower bed in our yard, and we heard an explosion of sound. We looked up to see a deer running out of the woods like we’d never seen a deer run before. That deer was running for its life. Right behind the deer were two wolves. At that time, there weren’t supposed to be wolves in the area. Later I found out these were an alpha pair of Canadian wolves that were recolonizing the area. The deer ran towards us for safety and came within about twenty feet of us. We were shocked, and it took a couple minutes before we could speak. One of the wolves turned and looked at us as he ran by. The whole thing felt very natural, like things were supposed to be this way. My daughter said, “let’s go track the wolves!” We went out of our yard and onto the meadow. We could smell the wolves. They had this scent of wildness, a woodsy beautiful scent. When you live in a place like this, your sense of smell gets very developed because one of the ways you stay safe is by smelling that bear before you see it. We followed their tracks, and we could see where one of the wolves had turned its head to look at us. When a wolf turns her head, it causes one of the front legs to cross a little, and we saw this turn in the tracks. Even as we were tracking, the grasses were already springing back up. This made me wonder how many times wolves had been hunting here that we had never noticed. We collected samples of the wolves’ hair, and I met with wildlife managers. Nobody would take me seriously until I met with the man who headed the wolf project in the Rockies. He asked me to track them, became my mentor, and encouraged me to go to graduate school. The next year, wolves denned near our land. Within four years, everything changed. That meadow grew in. There were all these birds there that we’d never seen before. We saw American Redstarts for the first time. The young trees had grown into a thicket, creating new habitat for birds. The deer and elk took quick bites and kept looking around. They were on high alert to stay alive. The whole place became a lot wilder. In other ecosystems, that apex predator might be a different species. If you’ve been tracking a jaguar in the Amazonian rainforest, and you turn around and notice jaguar tracks inside of your tracks, you know the feeling those deer and elk have. It’s a very healthy thing. It’s humility. It’s about learning our place on the planet, and this is something our ancestors understood, but modern humans think that we can just control everything. Elephants are also keystone species. They have powerful beneficial effects on whole food webs —their dung is nitrogen fixing, they tear up trees, and they help to create grassland that provide habitat to many animals. Relationships are a web in every system. In almost every system, we’ve destroyed them. These relationships are called “trophic cascades” — trophic means food and cascade means a waterfall. The idea is that everything flows from that apex predator or keystone species and affects every other thing throughout the whole system. Can you talk about your work partnering with Indigenous traditional ecological knowledge (TEK) in rewilding projects? Six months later, Narcisse and his wife joined me in the field, and I made them supper from an elk that I hunted myself. We talked and told stories back and forth, and we shared a lot of wolf stories. I have many wolf stories that I’ve experienced while studying wolves in the field as a scientist. We talked about trophic cascades and rewilding. Towards the end of the meal, Narcisse said to me, “Cristina, this is a no brainer. This is what we’ve always believed. It just took western science this long to figure it out. I’d like you to take the work you’re doing in these national parks and do it on our land.” It was the power of a story to create relationships. Many of the projects I’m responsible for at Earthwatch have strong elements of working with Indigenous people, and traditional ecological knowledge is embedded in the science. Elders are often present on the projects guiding the work. Our collaboration with the Kainai people came through sharing stories of my experiences with wolves. This is how Indigenous stories are told about animals around the world. Animals teach us; they are our mentors and our guides. This is not a new age romantic thing. I was doing highly rigorous empirical science, and these wolves would show up and demonstrate the things I was studying. Our collaboration with the Kainai Nation was started and made possible by the huge generosity of Narcisse Blood. Tragically, he was killed in a car accident in a blizzard three years ago. Can you talk about your work with the rewilding project at Waterton Lakes National Park in Canada and this collaboration with the Kainai people for repatriation of buffalo? The Waterton project has developed in an astonishing way. Today I finished a research proposal for next five years of this work. I started working in Waterton for my PhD study. I started my PhD in my early fifties, and I had total beginner’s mind. I was out there measuring aspen, and I was looking at the role that wolves play in this system. It’s completely different than in Yellowstone. In Waterton, the aspen have not died off; rather, aspen have taken over the grasslands. The grasslands here are a UNESCO world heritage site as these grasslands make up the 3% of short grass prairie left on the planet. This is critical habitat for animals like bison. This site is an intact ecosystem with all species present as they were before European contact except for free-ranging bison. The forces I identified as keystone forces that are essential to rewild that landscape are fire, wolves, and bison. Even in an area with active wolf populations, fire needs to be present for trophic cascades. In Waterton, both fire and wolves were present. Aspen are part of a fire-adapted system. The missing piece was bison. Without bison, we’re not going to have these healthy prairies. That’s what Narcisse helped me identify. This is Blackfoot ancestral land, and they understand these relationships. The three most sacred things in Blackfoot cosmology are fire, bison, and wolves. Bison are being reintroduced in this area, but bringing bison back here is really bison repatriation because bison are integral to Blackfoot culture, and this is a return to their homeland. Over years, we have amassed huge amounts of data. We have funding from the Canadian government for this research. At Earthwatch, we’ve created a community fellows program. We have Blackfoot Kainai elders and young people join us in the field. And we’ve expanded our work onto tribal lands, and we are looking at these relationships there. Part of rewilding is restoring corridors for animals to move. Bison and wolves need to be able to move along their ancestral pathways. There are lots of Kainai stories about bison moving along this corridor, and we also find their bones and skulls along this corridor as we’re doing research. This is bison land. I gave a talk about this work in Brazil with Kainai leaders and partners. A thirteen-year-old Kainai girl named Monroe Fox has worked in the field with us. Monroe stood up in front of a packed room of scientists and international conservation officials and shared her vision of why rewilding matters and why this project’s collaboration with traditional ecological knowledge is so important. The people present were so impressed that in fulfillment of the UN Bonn Challenge to protect biodiversity, the Ecohealth Network, selected ours as one of twelve model projects globally that have restoration and rewilding at their core with an emphasis on holistic human health. This Waterton project has developed in amazing ways. This is because of the Kainai people, and the courage, humility and strength they bring to the project. This project is so powerful, and it’s very humbling to be part of as a scientist. In your data collection in the field, you’ve moved away from radio collars towards more non-invasive methods of data collection. Can you talk about the reasons behind this shift? My relationships with wolves I collared were good. I treated them with respect. I was getting critical data that I could only get with a GPS collar. The wolves let me know that they approved of what I was doing. One time I collared a young wolf with a GPS collar in Canada. I could be in my office and see what this young male wolf was doing. He was ranging onto ranch lands, but he wasn’t doing anything bad at all. He would move in his ancestral corridors, into mountains to prey on elk and bighorn sheep. Ten days after I collared him, a rancher shot him and said he had shot the wolf with a collar because he thought it would be fun. That was the last time I ever collared a wolf. I had positive experiences and collected a lot of good data, but after the collared wolf was shot, that was it. It’s not worth it to me with animals I care so deeply about. Now I gather a lot of data using transects—which are just a temporary line on the ground marked by tape along which you collect data systematically, by tracking for example. When you are done you pull up the tape, leaving no trace. What I’ve found is that this hands-on data collected through transects was identical in every way to the data from GPS collars. People would say, “tracking can be subjective.” But my statistical analysis showed the same findings, validating this methodology. I had peer reviewed journal articles published about this. I got what I needed from collars, and I don’t use them anymore. We use non-invasive, leave-no-trace ways of studying these animals. The tribes I work with love this. This is part of traditional ecological knowledge as it is one way of respecting each other. Rewilding involves complex ecological relationships, and it also involves human partnerships across the landscape. You have experience as a hunter and with ranching in your own life and family background. How do you think this experience helps you to build successful partnerships with ranchers and other rural stakeholders in rewilding projects? I would never be able to do the work I do if I didn’t hunt and have a ranching background. My family lost our ranch for financial reasons. My dad loved wolves. He would see them all the time, and he could never shoot them even though he was supposed to. He was glad when I decided to study wolves. I look at ranching very realistically, and I’ve walked that walk. I know that a lot of ranchers damage the landscape. But some ranchers have a very deep relationship with the landscape and ranch sustainably. By insulting all ranchers or saying we just need to get rid of all cattle, you’re never going to have a conversation that will advance conservation. Rewilding is about healing at every level. It’s about healing landscapes, healing our hearts and our bodies, and it’s about learning and remembering who we are on the earth as humans. We’ve denied this in the Euro-American model of boundless growth and material consumerism. Rewilding is returning to what defines us as humans. Trophic cascades are about relationships. Conservation is about relationships. We need to build those relationships out of mutual respect and build some level of trust. We need to work together to try to find solutions. I approach the stakeholders and ranchers by saying, “No one knows this place as well as you do. Can you teach me? What are you seeing here?” I invite them in the field with me. We have real conversations. I’ve had ranchers say to me, “You’ve gotten me to think about this in a different way. I came expecting to tell you that you’re wrong, but I think maybe I haven’t seen this whole picture.” This happens because I respect them. It’s about building community and trust, and my background helps me do that. Maybe it’s because I’m a small woman, and I always have beginner’s mind. Whether I’m in the Amazon or Mongolia or Kenya, I ask them to tell me their stories and I listen. Beginner’s mind, openness, and listening to locals helps a lot. How is climate change affecting these rewilding projects? In 2017, this Waterton study area of Canada had a long winter with lots of snow and then an incredibly wet spring. It rained all of June, so there was this ultra-lush growth of grasses and shrubs, and then we had a severe drought for three months with no precipitation. This is a weather pattern that happens due to climate change and changes in the gulf stream. Normally in the northern Rockies, it rains in July, but it was so dry, people in the field with me said the grasses were crunchy. In an area where it’s usually cool, it was between 90-105 degrees Fahrenheit, and the humidity dropped to below 10%. There was a lightning strike that started a fire. Every year in the northern Rockies, there are thousands of lightning strikes that start little fires and go out, but this fire blew up in a week. It spread, and eventually, this fire burned over 100,000 acres. Our study site was consumed by flames with a wall of fire four-hundred feet high. I was evacuated twice with my field crew. This wasn’t the traditionally mixed-severity fires that left healthy mosaics on the landscape. This was like a nuclear bomb hit our study site. Based on pollen records, these kinds of fires occurred every three hundred years. What’s different now is the severity. These catastrophic fires are happening because of climate change. I’m going back to our site in May to see if the fire destroyed the seeds in the soil and whether the fire destroyed the soil itself. We don’t know if there will be habitat for bison. Our study site is a spiritual site for the Blackfoot. This is a special site where bison are being repatriated to their homeland. It’s a site where all of us are being taught by nature some very big lessons. As a scientist and as a human being, I’m approaching this with my heart and trying to understand the lessons that are here for us as humans as we move forward in this world that is changing so fast. Your most recent book focuses on climate change. What are you exploring in this book, and how does rewilding relate to climate change? My most recent book examines climate change in a global way and how it’s affecting wildlife. I look at animals that are bellwethers of what’s happening. I was just in the Galapagos observing a penguin species that is going rapidly extinct there because of climate change. If a system has five species of penguins, and one goes extinct, you still have penguins. But in the Galapagos, you have one species of penguin, and their population is crashing due to climate change. The ocean has gotten too warm for sardines, which are the primary food for these penguins. The sardines are disappearing, and the penguins are starving to death. The penguins can’t reproduce because they don’t have enough to eat. There is nothing we can do to save them. Climate change is impacting food webs all over the world. Rewilding provides a buffer in every system. One of the things I argue in this book is that rewilding increases biodiversity and it increases energy cycling through an ecosystem by predation, by nitrogen fixing by animals like bison, and by putting more nutrients into the soil. One of the easiest and smartest ways we can address climate change is by rewilding landscapes. What role do you think the arts have in partnering with science in rewilding projects? 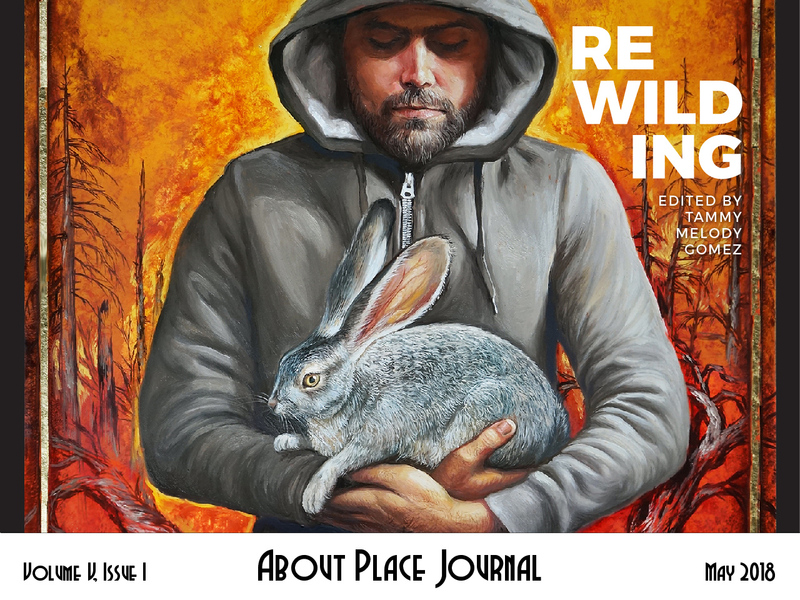 I co-edit a literary journal called Whitefish Review. I’ve always had artists join me in the field because arts are how we’ve operated as humans forever. Our art, stories, and songs have been part of ecological knowledge for millenia. Arts are part of rewilding the planet and honoring ecological relationships. I think every scientist needs to have artists out in the field with them. At Earthwatch, I’ve helped to create funding to do some of that. There can be a wonderful synergy between science and art. I don’t think it’s optional to integrate arts. I believe it’s essential. Can you discuss the importance of citizen science and how Earthwatch supports the role of citizen science engagement? It takes a village to address any conservation problem and do any conservation science. In Waterton, I have 1200 plots to collect grass data and assess fire severity in. I’m combining field data with high-tech remotely sensed data. I need an army of people out there. With Earthwatch, volunteers come from all over the world, and they return home and tell stories. Citizen scientists are so wonderful to have in the field. I learn as much from citizen volunteers as they learn from me. They truly have beginner’s mind, they ask astonishing questions, and they notice things I miss. They get me to consider things I might not have considered otherwise. I’ve modified some of my research methods based on feedback I got from citizen science volunteers. It’s important to set up a project right and make sure the story is told. Why are we measuring 20,000 aspen? If you share the story, citizen volunteers become not just engaged but passionate. How do you think rewilding ecosystems is related to rewilding human beings? We are self-destructing as a species, and a lot of this has to do with severing our deep connections to the natural world. Anne Haven McDonnell lives in Santa Fe, NM and teaches as an associate professor of English and Creative Writing at the Institute of American Indian Arts. Her poetry has been published or is forthcoming in Orion Magazine, The American Journal of Poetry, The Georgia Review, Nimrod Journal, Flyway: Journal of Writing and Environment, About Place Journal, Tar River, Terrain.org, in Nature and Environmental Writing: A Craft Guide and Anthology, and elsewhere. Cristina Eisenberg is the Chief Scientist at Earthwatch, and directs a global ecological research program and faculty at Oregon State University and Montana Technological University. She has PhDs in wildlife and forestry, expertise in fire ecology, and is the author of several books. She studies rewilding: how restoring natural processes creates communities more resilient to climate change. She is the PI on research projects in SW Alberta on wolves, fire, and bison, and in Scotland on rewilding the Highlands with wolves. She is on the Board of the Ecological Society of America and the Society for Ecological Restoration, the editorial Board of Oregon State University Press, and is a Trustee at Prescott College. She is Indigenous and Latina and is the first member of her family to graduate from college. Her passion is working with aboriginal communities and underserved minorities to empower youth. 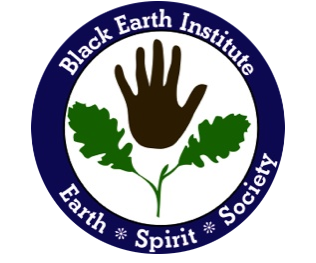 She is a scholar/advisor at Black Earth Institute.